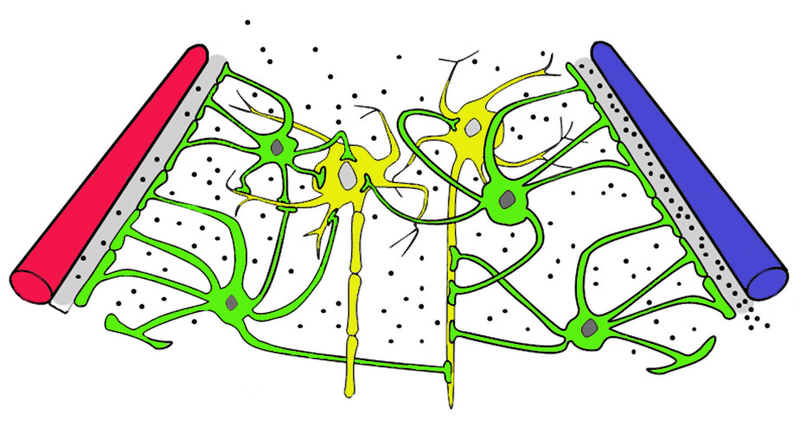 These imaginative statements describe a continuous flow of fluids through Arteries and Veins, into a Living Connective Tissue Matrix, ultimately connecting the Cerebrospinal Fluid to the Lymphatics. Optimal exchange of fluids through this connective tissue matrix is considered essential to HEALTH, and the true objective of all successful osteopathic treatment. 21st century technological advancements in basic science research (independent of osteopathic influence) have been able to validate the clinical research of both Dr. Still and Sutherland… providing foundational support for the clinical practice of osteopathic manual medicine. The paragraphs below describe 3 newly discovered (since 2015) anatomic structures that are extremely relevant to the principles and practice of osteopathy. (The links below allow for the downloading of these seminal articles). Cerebrospinal Fluid (CSF) provides a stable and specialized fluid environment for nerve cells. CSF is said to be the lymph of the central nervous system. The brain literally floats in these waterbeds of CSF. Within the brain, Neurons and blood vessels are supported by web-like scaffolding structures known as astrocytes (specialized glial cells). During sleep, astrocytes pull away slightly from the vasculature, creating fluid spaces. CSF then rapidly flows between the brain cells, literally washing the brain, eliminating waste and debris. This Glymphatic (glial-lymphatic) System provides one of the reasons why sleep is so essential for the health of the brain. Failure of glymphatic function may contribute to pathology in neurodegenerative disorders, traumatic brain injury and stroke. The Glymphatic System – A Beginner’s Guide; Jessen NA, Finmann Munk AS, Lundgaard I, Nedergaard M; Neurochem Res. 2015 December; 40(12): 2583–2599. doi:10.1007/s11064-015-1581-6. 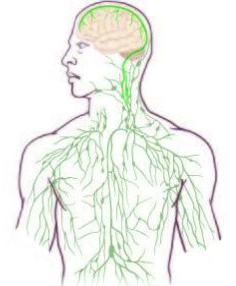 Conventional neuroscience texts typically describe the central nervous system (CNS) as lacking a classical lymphatic drainage system. Though it is recently understood that constant immune surveillance takes place within the meningeal membranes, the mechanisms governing the entrance and exit of immune cells from the CNS remained poorly understood. The authors in the article listed below recently discovered previously unknown functional lymphatic vessels within the brain. 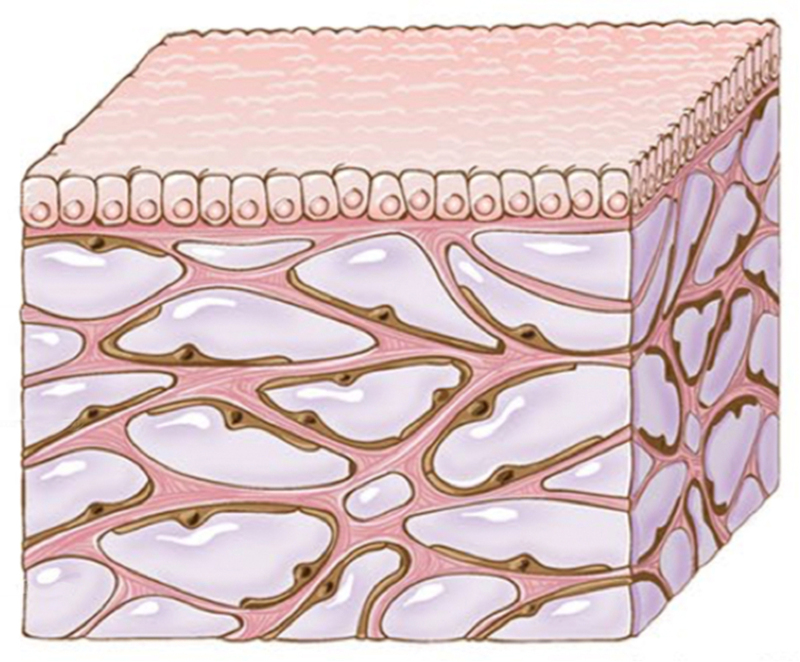 These lymphatics line the dural sinuses and express all of the molecular hallmarks of lymphatic endothelial cells, capable of carrying both fluid and immune cells from the CSF, connecting directly to the deep cervical lymph nodes. Structural and Functional Features of Central Nervous System Lymphatic Vessels; Louveau A, Smirnov I, Keyes TJ, Eccles JD, Rouhani SJ, Peske JD, Derecki NC, Castle D, Mandell JW, Kevin SL, Harris TH, Kipnis J; Nature. 523, 337–341 (July 16, 2015). Adults humans are estimated to contain approximately 70% water by volume. This water is divided into two basic fluid compartments: Intra-celluar (the fluid within the cells – 55%) and Extra-celluar (the fluid outside the cells – 45%). Extra-cellular fluid spaces are well known in the biological sciences. All cells reside within a complex extra-cellular matrix. The existence, location, and structure, of these fluid spaces, however, are described only vaguely in the literature. The typical process of slicing and drying tissue samples for slide preparation, inevitably distorts normal cellular structure. 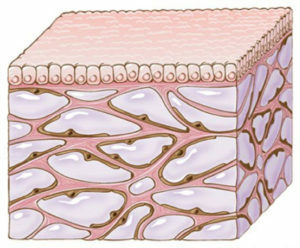 Standard depictions of the interstitial layers had previously appeared as dense clusters of cells. Recent advances in high resolution microscopic imaging allow for the visualization of functioning tissue in living human subjects. These new imaging techniques now reveal the interstitum to be continuous fluid channels supported by an internal webbing of collagen and elastin. 140 years ago, Dr. 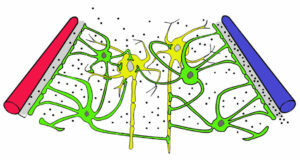 Still described a continuous flow of fluids through Arteries and Veins, into a Living Connective Tissue Matrix, ultimately connecting the Cerebrospinal Fluid to the Lymphatics. 21st century technology now allows objective observation of phenomena described by Dr. Still, using only his hand for subjective observation. Osteopathy is not about joint manipulation, or focusing on the musculo-skeletal system. It is certainly not about “putting bones back into place.” The goal of osteopathic treatment is to optimize the normal exchange of fluids across all fluid compartments. It is always encouraging when research gathered from independent sources serves to substantiate the principles of osteopathy and support its application in practice.